How 'Chattanooga Choo Choo' Became The World's First Gold Record Seventy-five years ago, Glenn Miller's hit kicked off a music industry tradition — and helped change its namesake city. Chattanooga's Terminal Station was headed for demolition in the 1970s — until entrepreneurs converted it into a train-themed hotel, named after Glenn Miller's hit song. The music industry can thank Glenn Miller's record label for the idea of gold records. Seventy-five years ago today, his song about a train trip became the world's first solid-gold hit. 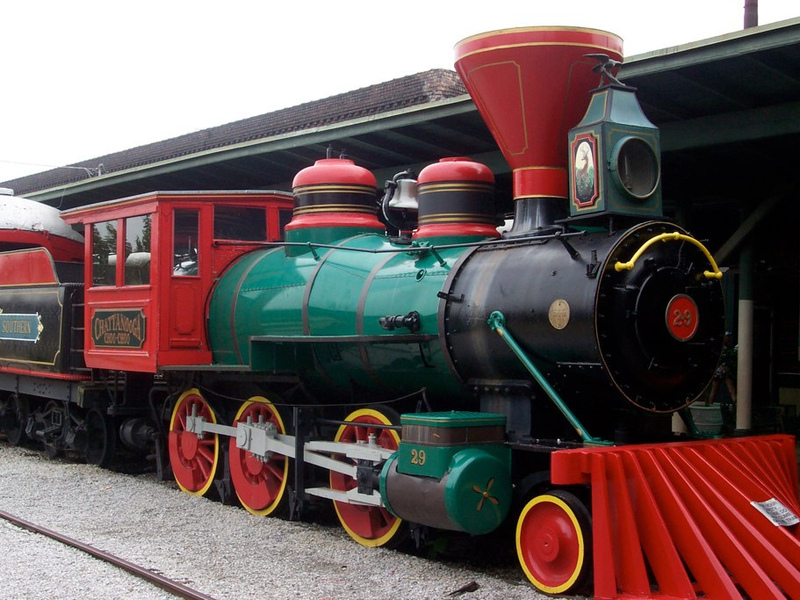 "Chattanooga Choo Choo" is about a man going home, and promising his sweetheart he'll never roam. By February 10, 1942, more than 1.2 million copies of the song had been sold — and that was no small thing, the biggest seller in years. The record label, RCA Victor, celebrated by presenting Glenn Miller with a trophy during a live radio broadcast. "I think everyone listening in on the radio should know, Glenn, it actually is a recording of 'Chattanooga Choo Choo,'" announcer Paul Douglas explained to Miller on air. "But it's in gold, solid gold, and is really fine." Miller's honor started a self-congratulatory tradition of labels awarding their own artists framed gold records. Then, as rock and roll's rising popularity changed the record industry, new trade organizations formed, according to music historian Robert Oermann. "One of them was the Recording Industry Association of America, the RIAA," Oermann says. "And this is where the idea of an outside certification firm comes in." In 1958, "Catch a Falling Star," by Perry Como, earned the first RIAA gold. Meanwhile, Glenn Miller's gold changed its namesake city. Chattanooga's Terminal Station used to be the city's passenger rail hub, and narrowly avoided the wrecking ball. Then entrepreneurs transformed it into a hotel where actual train cars serve as rooms. The city's tourism chief, Bob Doak, says the song became Chattanooga's calling card. "Kids of all ages, including adults, love to come in for the novelty of spending a night in a train car," Doak says.